This is the fifth in a series on players from the 1971 Q-School. Read Part 1, Part 2, Part 3 and Part 4. Nearly a half century later John Coyne tracked down Allen Miller, Lanny Wadkins, Leonard Thompson, Sam Adams, John Mahaffey, Steve Melnyk and Spike Kelley. How had pro golf and life turned out for these seven men? SAM ADAMS, FROM BOONE, NORTH CAROLINA, is a natural right-hander who played golf left-handed because "my father was left-handed and we only had one set of clubs in the family." Sam was 25 when he attended the 1971 Q-School, having graduated from Appalachian State University where he was captain of the golf team. In 1967 he was the Conference Carolinas champion. After college he became the assistant professional at Boone Golf Club and, even at the Q-School, his ambition was to become a home professional and teacher. And that is exactly what he did in his life. Getting to his dream job wasn't easy. Getting to the Q-School wasn't easy. He tried the qualifying school three times, and on his third attempt he finished third in the regional qualifying at Tanglewood in Winston-Salem, a tournament won by Lanny Wadkins. Adams shot 12-under in the four-day event. The day before Q-School he lost his favorite 3-wood and had to use a backup club, but it turned out okay. He shot 69 in the first round and that calmed him down. He was playing well and felt he could hold it together and earn his tour card. 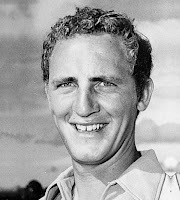 "The golf course was far from easy," Sam remembered, "but a player who was playing well could shoot a good score, not a great score like 65 or 66. But the Q-School tournament to me was physically, emotionally, spiritually and psychologically draining. Six rounds just prolongs the agony." After finishing second in the Q-School, tied with Wadkins, Adams joined the tour at the Azalea Open in Wilmington, North Carolina, in November of 1971. He never returned to his job at the Boone Golf Club. He played on the tour from then through 1977, having financial sponsors for the first two years, and then playing on his own. As a rookie, Sam also finished second to Gay Brewer in the 1972 Canadian Open, another highlight of his first year on tour. His greatest moment in the game came when he won the 1973 Quad Cities Open shooting 64, 64 in the middle two rounds and closing with 68 to shoot 268 (16 under par) and win by three shots. "In doing that," Sam said, "I became the first American born lefty to win a PGA Tour event." "Being left-handed probably worked to my advantage," Sam admitted. "I was more visible and got more attention than I would have had if I had just been another right-hander with the same level of success. When I joined the tour the only other lefty playing regularly was Bob Charles from New Zealand...He stopped playing regularly in 1974 or 1975 and for a time I was the only lefty playing the tour full time." The strongest part of Adam's game was putting, and he was particular good on fast greens. "The greens we putted on in the 70s," Sam said, "were probably between 9.5 and 10 on the Stimpmeter. Today's greens on the tour run 11.5 to 12.5, depending on the amount of slope and if the weather conditions allow. "Also, the greens today are better conditioned than what we putted on....the make percentage from inside 10 feet is much higher today than in the 70's...that may, in part, be the players, but I think it is the improved putting surfaces." It is not only the greens that have changed since the 1970s, but the players as well. "PGA golfers are certainly better conditioned athletes than previous generations," said Sam. "Whatever training programs they are on certainly produces more club head speed and greater distance. The design of the equipment, particularly drivers and fairway clubs, have made it much easier for a skilled player to hit more accurate long shots. The hybrid clubs are so much easier to hit than a 1 or 2 iron that players can now hit and hold the green from much longer distances. Mowing heights have also played a role in how far the modern player drives the ball and necessitated the use of hybrids to loft the ball from tight lies." After leaving the tour in 1977, Adams supervised the construction of Roan Valley Golf Club near Boone, North Carolina. He is still at the course as the head pro, and now the club is known as RedTail Mountain. It is located in the beautiful Appalachian Highlands, 20 minutes from Boone.